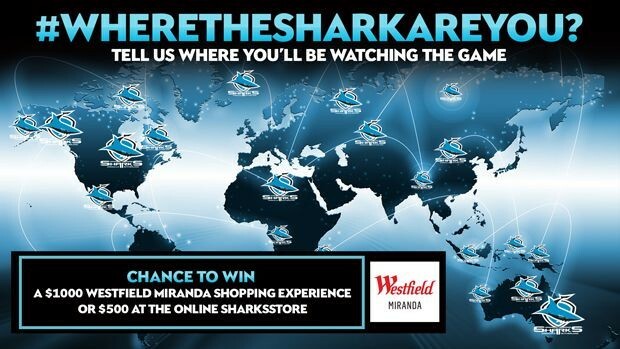 Cronulla Sharks Rugby League Football club launched a campaign called ‘Where the shark are you’ to boost fan engagement and to find their supporters across the globe. It’s not the first time that the club has explored new ways to collaborate with fans: Sharks also leveraged the relatively new Facebook Live platform to create a live video show with a large amount of fan-generated content within it. The live stream attracted 54,000 page impressions on Cronulla’s website and had more than 30,000 unique visits. The variety of countries was unexpected: fans watched the Sharks’ live-stream from New Zealand, United States, Canada, Britain, Thailand, Japan, Vietnam, Indonesia, China, Germany, Korea, PNG, Israel, Lebanon, Sweden, France, Kenya, Fiji, the United Arab Republic and Romania.